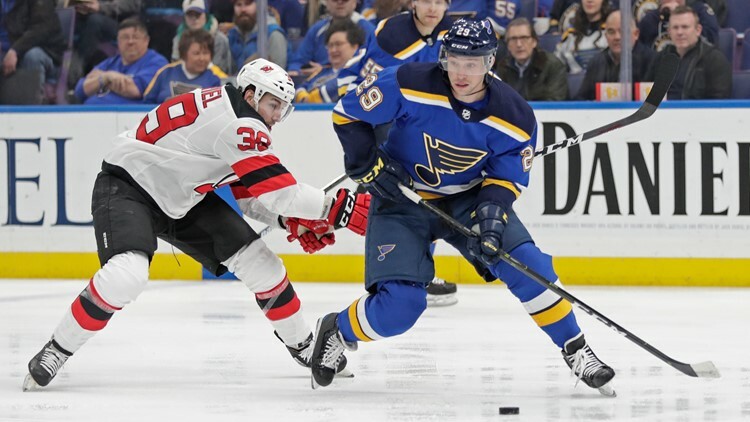 ST. LOUIS (AP) — Alex Pietrangelo and Ivan Barbashev each scored twice and the St. Louis Blues won their seventh straight game, blowing out the New Jersey Devils 8-3 on Tuesday night. Schwartz got his first goal in 23 games — a span of 73 shots — late in the first. He appeared to score again early in the second period, but the goal was disallowed because of goalie interference when Schwartz slid into Kinkaid.